I look forward to networking with my fellow business analysis professionals in the Bluegrass Region. 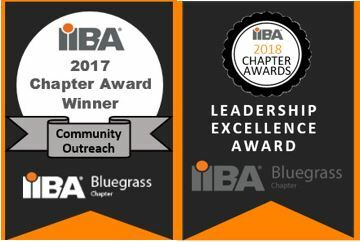 Join us for the fifth annual Bluegrass IIBA Chapter Winter Networking Social with your fellow business analysts!! This is the time for us to celebrate and rejoice in the accomplishments of our efforts here in Lexington and the Bluegrass region. Join us for this year's celebration at Hopcat on W Short St. The Chapter will provide appetizers. Drinks and dinner are available for purchase off Hopcat's menu. Come when you can, stay as long as you like! Cheers to 2017! See you there!